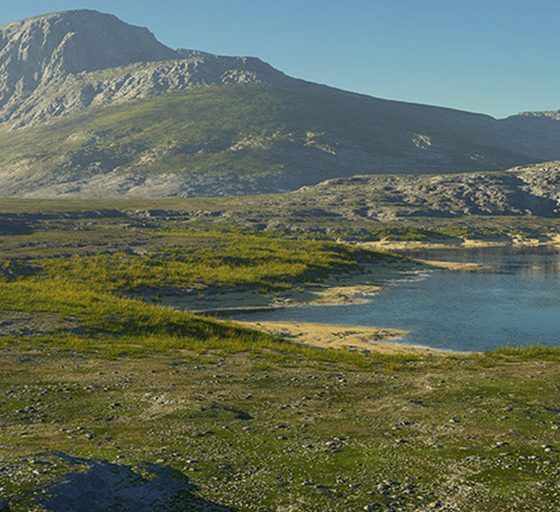 Terragen 4 features the most realistic atmosphere model available in a commercial application today. We simulate not only the more common Rayleigh and Mie scattering properties, but also the effects of ozone (new in Terragen 4). Terragen implements a complete spherical planetary atmosphere, with accurate lighting and volumetric cloud and fog layers which can be controlled by custom shader networks, all rendered with multiple scattering and global illumination. Achieve beautifully realistic sunsets in seconds by simply adjusting the sun angle, with a real-world atmosphere model taking care of the rest. 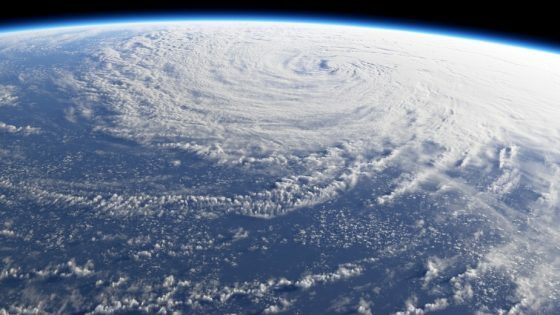 When you’re working with a fully simulated global environment, objects and effects interact like you’d expect them to, so sophisticated effects like “god-rays” or even solar eclipses are remarkably easy to achieve. You can also easily add stars, backgrounds, or even whole planets to your skies. 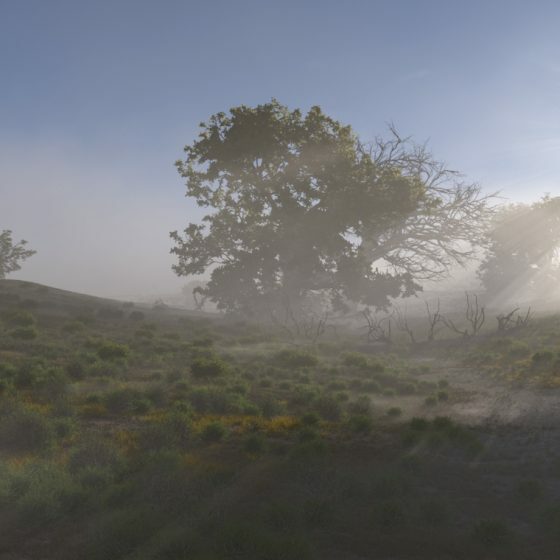 The new v3 cloud shading model in Terragen 4 now simulates multiple scattering effects, resulting in cloud renderings that can be indistinguishable from photographs. 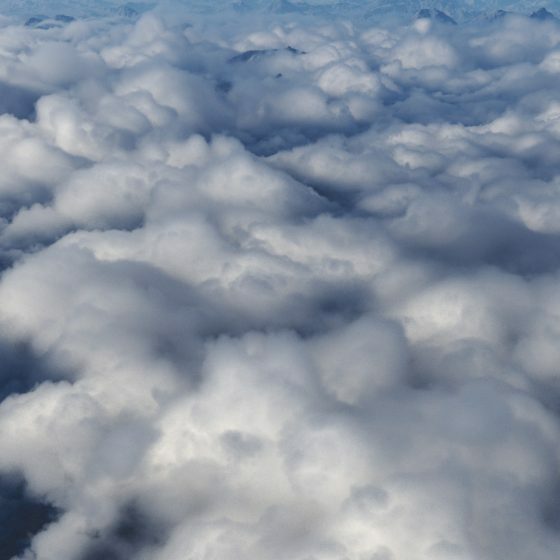 We have also added a number of “Easy Cloud” models that correspond to several major real-world cloud types such as Altocumulus, Cirrocumulus, and more. These presets allow you to create extremely realistic results quickly and easily, including subtle features and detail such as edge “wisps”, and highly plausible cloud shapes. 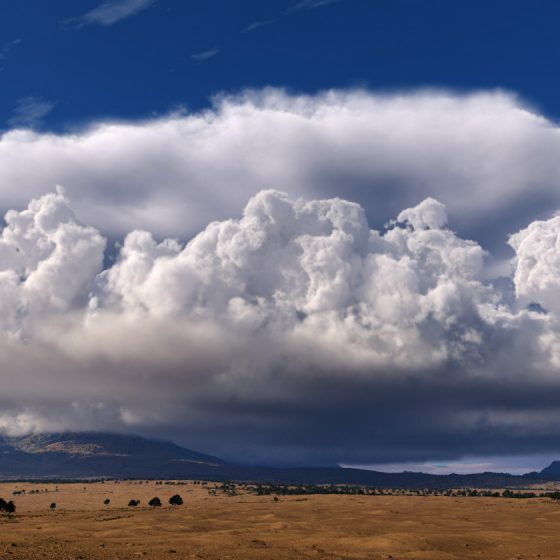 If you need more control, Terragen’s flexible node system allows you to create virtually any type of cloud, from wispy stratus and cirrus, to billowing cumulus and towering thunderheads, or even fog and mist. 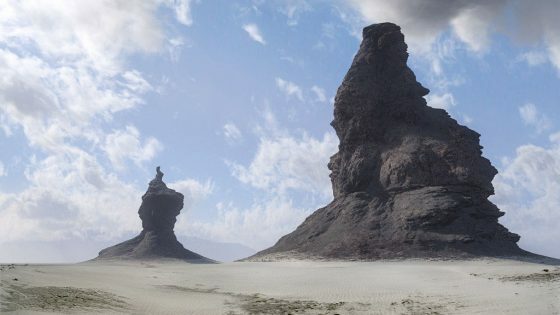 Real, or imaginary, you can create it in Terragen. And all of this can be visualized in real-time with the new Ray Traced Preview (RTP) for instant feedback. 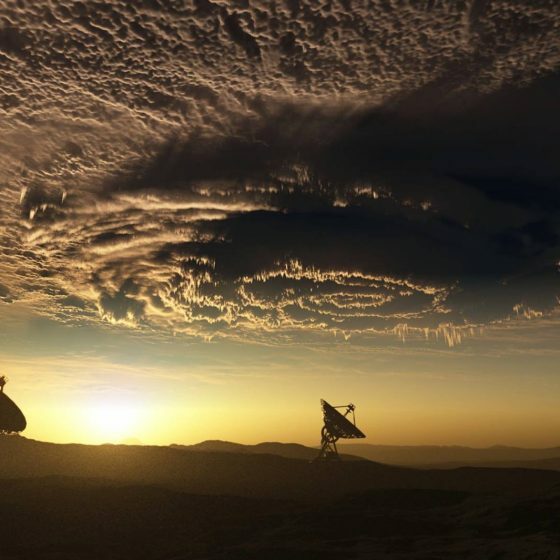 So, whether you need beautiful results quickly, or absolute control of every detail, Terragen 4 gives you the tools you need for unparalleled skies. With realistic sunlight(s), local, and spot light sources that can illuminate anything, ray traced soft shadows, global illumination that enables full lighting interaction between surfaces, atmospheres and clouds, and ambient occlusion options, Terragen gives you all the flexibility you need to light your scenes. The quality of global illumination or ambient occlusion can be adjusted to find the right trade-off between render times and lighting quality. Our goal is to give you the right balance of lighting as quickly as possible, and then give you controls to tweak individual lighting contributions to perfect your art. HDR environments rendered by Terragen 4 can be used as image-based light sources and reflection environments in other renderers. Terragen’s HDR sun and skylight system is both inspired by nature and sensitive to the needs of visual effects in practice. The sun is as bright as the sun – much better than in HDR photography – and you can control its size without affecting its total contribution to the scene in order to get the best quality results in the destination renderer. Rob Nederhorst has used Terragen on commercial projects at Digital Domain, Sway Studio and Speedshape/LA, including the Djarum Mezzo cigarette spots “Race” and “Leap” which were nominated for a Visual Effects Society VES Award for outstanding compositing. You can see a visual effects breakdown video here. Terragen allows you to create and manipulate highly realistic terrains, both heightfield and procedural. You can load existing heightfields to replicate real-world terrains and gain additional control by using a 3rd party terrain editor, or leverage the powerful built-in procedural functions to achieve global-scale terrains of nearly infinite detail, from the smallest pebble, to the largest mountains. You can combine the benefits of both terrain types in one scene, seamlessly. Even your heightfield terrains can be enhanced with the power and flexibility of procedurals. Using 3D procedural functions, go beyond the limits of heightfields to create truly realistic terrains, including sheer cliffs and even overhangs. Let your imagination run wild and create out-of-this-world terrains. Georeferencing of digital elevation data is a snap. This works automatically with a variety of raster GIS data, including most DEM and aerial imagery formats available from the USGS. Lat-long values can be entered manually if automatic georeferencing is unavailable or needs to be adjusted. Fractal details can be added automatically to imported elevation data. Rendering of complex, fully textured objects is easy with Terragen. Add life to your scenes with models of houses, trees, custom-designed rocks, or any other object. Objects can have an unlimited number of polygons and textures, constrained only by available memory. 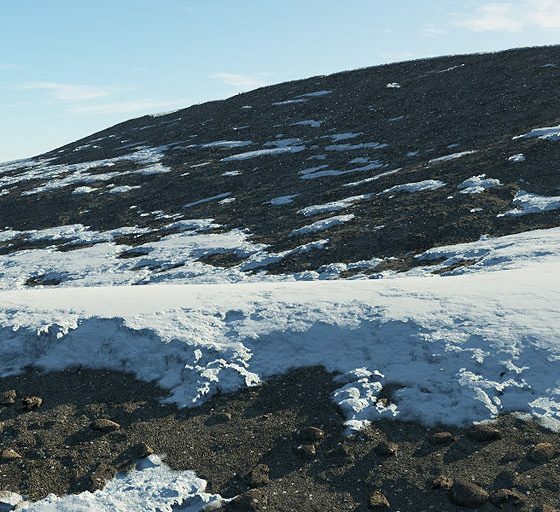 With your objects loaded into your scene, you can then apply any of Terragen 4’s surfacing effects and procedural shaders to enhance the look of your texturing. With a fully realized and powerful instancing system you can take your use of objects to a whole new level, and achieve highly realistic results. 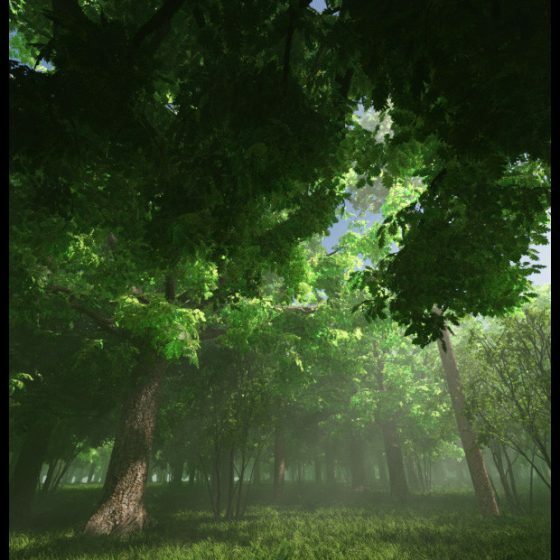 With Terragen 4’s “Populators”, you can add thousands or even millions of trees, rocks, birds, blades of grass, or any other object to your scene. You can instance any object that you can load and anchor those instances to the planet or to any other single object (think moss on a log, for example). Population variation controls allow you to add per-instance adjustments to position, scale, rotation, color, and lean, or even delete specific object instances, allowing you to create more unique-looking ecosystems and get the exact results you’re looking for. Terragen 4’s population system makes it possible to render literally billions, even trillions of polygons in a single scene! Terragen has been giving me incredible skies and environments for many years now. The team has taken an exponential leap in terms of photographic reality. I have done several projects with Terragen 2 where it has generated lighting and reflection HDRIs and those became the only light source in the 3D renders. With the ability to load georeferenced DEM data so easily and so accurately, guesswork is gone and you can concentrate totally on image fidelity. It’s a piece of software I would not do without at this point. A serious primary asset in the tool belt. 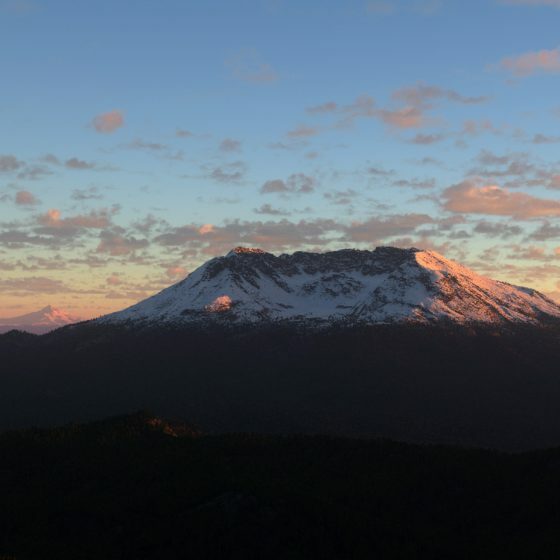 All versions of Terragen 4 include powerful animation features. Almost every parameter in a Terragen project can be animated over time, not just the camera. This can be used to render dramatic fly-throughs, time-lapse effects and much more. You can animate everything from sun, clouds, and atmosphere, to object movement, to terrain displacement, and beyond. You can key-frame parameters, import key frame values from text files and render image sequences from the user interface or frame by frame from a command line. Camera paths are plotted. You can preview fly-throughs in real-time in the 3D Preview. 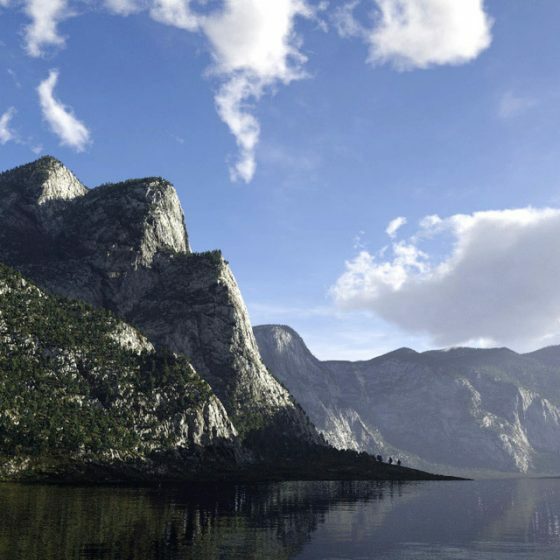 With the powerful animation features of Terragen 4, you can bring your scenes to life. The Animation module includes a complete timeline and key frame editor, allowing you to see a visual representation of all animated parameters. A curve editor is also included where you can directly adjust key frame values on a plotted motion curve. Terragen implements an intuitive and realistic camera system based on physical camera attributes, including Focal Length and Aperture. Simple but powerful controls are available for motion blur as well as depth of field, allowing you to create consistent effects that integrate well with real footage or other renderer output. You can have as many cameras as needed in your scenes and easily switch between them. You can even use cameras to drive other effects such as texture “front projection” or geometry area of export. Alternate camera modes allow you to render in orthographic or spherical modes, or with a fisheye perspective, often useful for dome rendering scenarios and other special use cases. 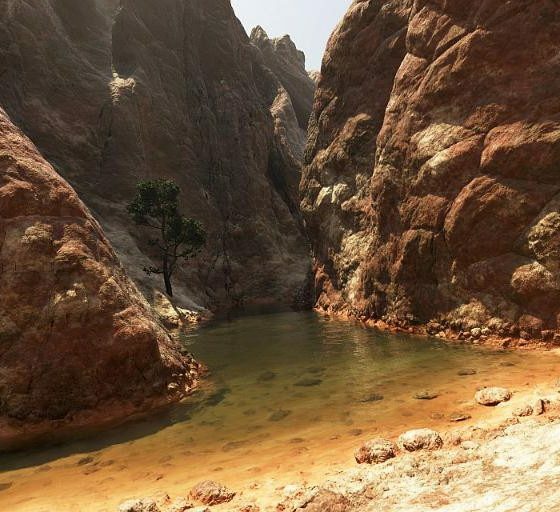 With native stereo camera support, Terragen 4 also is equally capable in VR production and stereo film work. Stereo options are included for every camera and allow you to easily move to a stereo workflow without changing other aspects of your setup. Import and export camera data in FBX, Nuke CHAN, or maya MOV formats for easy interoperability and integration with your existing tools and workflow. Many applications now support Terragen’s native heightfield format, .TER, so transferring terrains between Terragen 4 and your other applications is never a problem. Terragen can also export heightfield data to .EXR and import it from a wide range of image formats. Procedural terrains can be exported in two ways: as a view-dependent triangle mesh in LWO, OBJ, or FBX format or by converting to a raster heightfield which is easily saved as .TER or .EXR. View-dependent triangle meshes allow you to choose exactly where you want to transfer geometry to your other applications and how much detail you want. Camera motion can be imported from FBX as well as Nuke .chan files and Maya .mov files. Additional third party tools are available that allow you to transfer camera motion to Terragen 4 from Maya, 3DS Max, Cinema 4D, Blender and others. 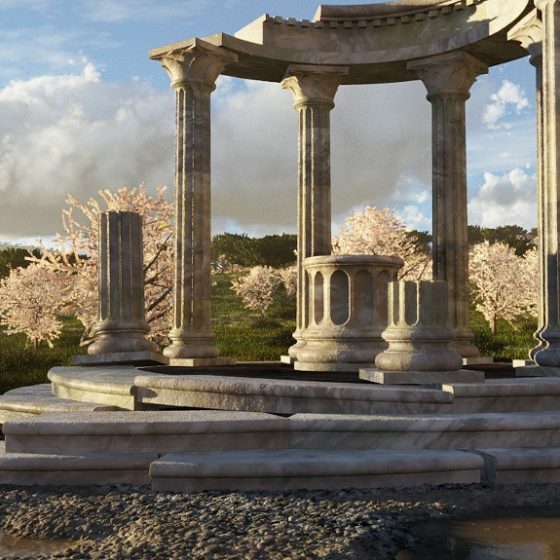 At the heart of Terragen 4 is an advanced hybrid micropolygon and ray tracing renderer. It is capable of rendering surfaces with extreme procedural displacement and produces images and animations with production quality anti-aliasing, motion blur, and Depth of Field. A hybrid Depth of Field rendering mode can provide low noise results in significantly less time. Procedural or image-based shaders can build complex surfaces from simple objects, relying on the renderer’s adaptive subdivision algorithms to dynamically adjust to extreme stretching and creasing. Terragen 4 blurs the distinction between geometry and displacement that is common in most high end production renderers, making it an ideal solution for highly complex natural objects such as terrain. While the emphasis is on rendering procedural surfaces with extremely high detail, image-based textures and imported geometry are also supported, and the resulting surfaces can be exported at various resolutions in popular 3D object formats. Billions of polygons can be rendered through the use of instancing. Imported objects and certain types of built-in objects can be instanced using the population tools (see Objects). The renderer is multi-threaded to take advantage of multi-core and multi-processor computers. 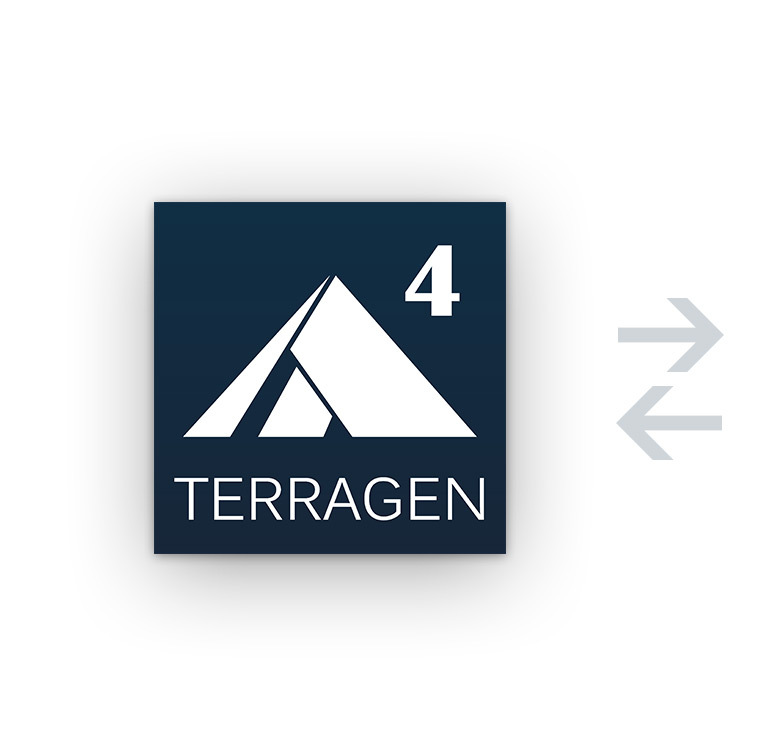 Terragen 4 can also be executed from a command line and is designed to render in network rendering environments using third party network render managers. High dynamic range linear colour space is used throughout the renderer – we are not afraid of very bright pixels! Output image formats include EXR, BMP, TIF (8 and 16 bit), and SGI RGB. A comprehensive render element (AOV) system allows you to output your renders in separate passes for maximum flexibility in compositing. Terragen 4 features more than 25 different render element output types, including depth, normals, direct and diffuse lighting, separate cloud and atmosphere elements, and many more. Additionally, a Layers system allows you to group parts of your scene for separate render output, further increasing your post-processing flexibility. Each license of Terragen 4 comes with additional render nodes (depending on version), and more can be purchased individually if desired. A command-line Linux render node is available for dedicated render farm use. 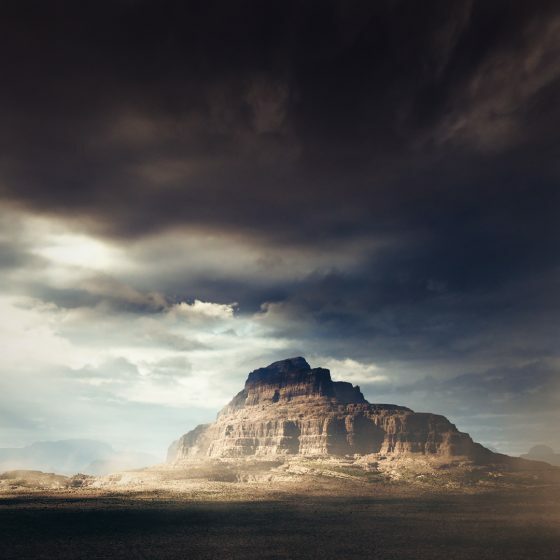 Terragen 4 uses a sophisticated shader system to enable complex texturing and surface manipulation. A multitude of built-in shaders are available to build compelling, realistic surfaces, or you can go to town with custom function networks that can control colour textures, displacement shaders, masking functions, object distributions and more. The pre-defined shaders cover a wide variety of effects, including specular, reflectivity, and transparency, enabling highly realistic water effects. Shaders can also affect the displacement of surfaces, adding detail and realism to the terrain. Shaders can be used to mask other shaders, and multiple shaders can be blended together in an infinite variety of ways to recreate the diversity of the natural world. While Terragen 4’s strength is in procedural functions, you can also load external image maps to apply to any part of your scene, mixing them seamlessly with your procedural textures. Shaders can also be applied to objects, so you can leverage the power of Terragen 4’s procedural functions to add realism and detail to your imported objects. Basic shader control can be handled with ease through a streamlined heirarchical node list, but the true power of the system lies in the node network, where you can create completely unique effects through free-form shader network construction. The basic shaders provide familiar and easy to use texturing controls, tailored to the needs of terrain. When you need more control to create a complex effect, a full set of mathematical building block nodes is provided to construct your own shaders. Of course Terragen 4 is not limited to pure realism. You can create unique and bizarre effects with creative use of the normal shaders, and go well beyond the boundaries of our normal reality with use of the function nodes. Terragen 4 provides truly endless possibilities in scene creation. Your scenes in Terragen are built around a full planet model, allowing you to create whole worlds of realistic, detailed terrain. 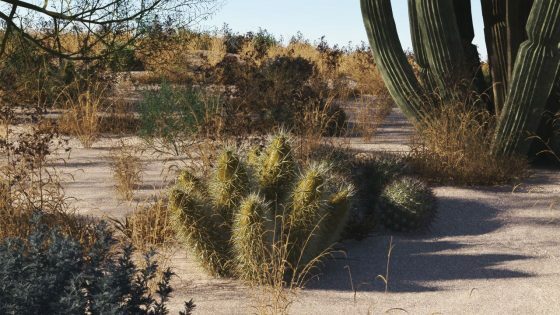 We haven’t neglected the other end of the spectrum though; Terragen 4 is equally adept at depicting small-scale details, with displacement down to the centimeter level, and a detailed lighting model allowing realistic rendering of close-in scenes. With both large and small-scale detail possible in the same scene, you can go from orbit to ground level seamlessly and easily. Forget clumsy or obvious cuts and other cheats, Terragen 4 gives you all the freedom you need to realize your vision. 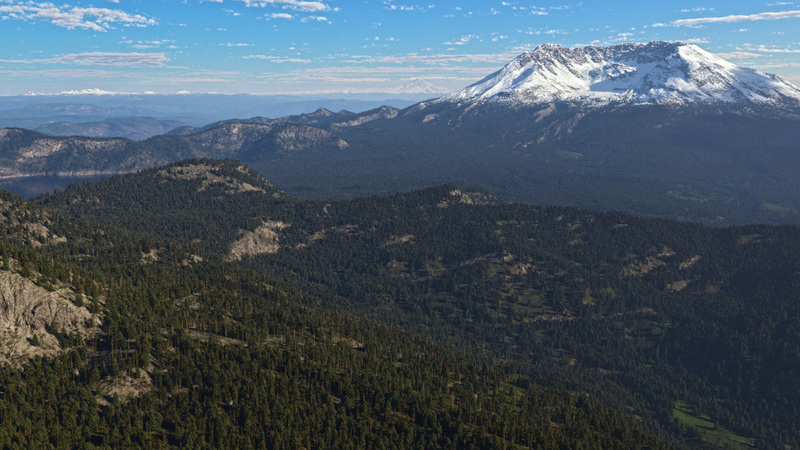 Terragen 4 includes a ray traced real-time preview with progressive refinement. The ray-traced preview mode supports Terragen shaders, lighting, and atmospherics, including clouds with volumetric shadows (aka “god rays”). The videos below features several of the capabilities of the new preview and each clip is shown in real-time. You can also use the Render Crop with the preview to do “region-of-interest” previews for even faster response. This is all just a glimpse of what you can do with the new ray traced preview method. The Content Library makes it easy to organize and quickly access scene files, objects, and textures. You can add description tags that are later searchable, select favorites for quick reference, customize the preview images, and much more. Content can be added one item at a time, or you can scan entire folders to quickly build your library. Watch the following video to see it in action. All versions of Terragen 4 also include bundled preset content, including surface shaders, terrains, clouds, and more to help you get started on scene building quickly and easily. In addition more than 20 high quality plant models are included, courtesy of Silva3D.com.